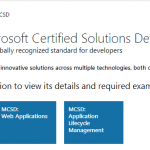 After blogging about the MCSD 7 times in the past 7 months, I am happy to announce you that the MCSD: SharePoint Applications Certification path is finally publicly available! 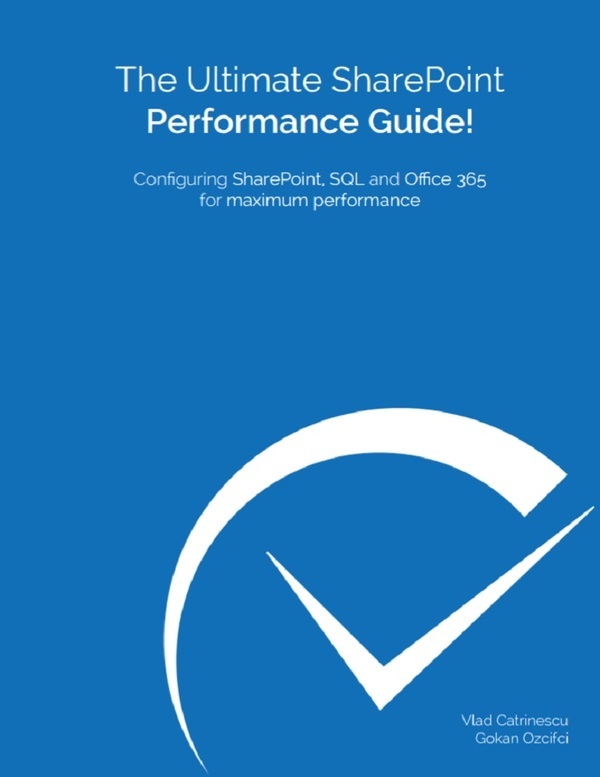 In the past 7 blogs, I was almost certain that the unannounced exam was the 70-486, however with no official word from the part of Microsoft, I could not confirm anything. I am happy to have been right! Confirming the 70-486 today makes Perfect Sense. 2. Re-certification required every 2 years. Like with the other MCSD Exams, to keep your certification you will need to re-certify every 2 years. This is different from the MCSE Certification where you need to recertifiy every 3 years. Q.I have an MCPD on Visual Studio 2010. 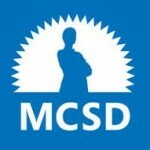 How can I upgrade to an MCSD certification? A.If you have achieved an MCPD: Windows Developer 4 certification, MCPD: Web Developer 4 certification, or MCPD: SharePoint Developer 2010 certification, you will be able to earn an MCSD certification on the corresponding solution by passing two exams. However, I can’t say it was truly last minute, because in February, J. Seymour from Microsoft said that the 70-493 exam didn’t exist. 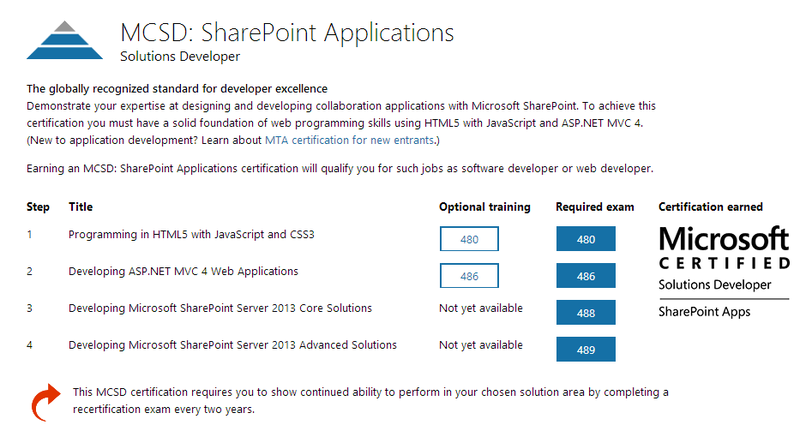 In the past “version” of the MCSM path, you needed the “MCSD: SharePoint Applications” Certification for the MCSM starting January 2014. 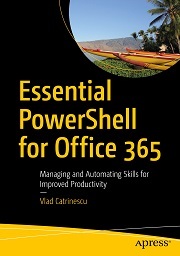 However, in the current version, you only need the 488/489 exams, and not the full MCSD. 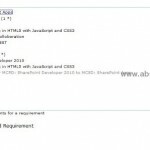 Free Codes for SharePoint 2013 Beta MCSD Exams– Limited Quantity.. be fast on April 14, 2013. http://absolute-sharepoint.com/2013/04/free-codes-for-sharepoint-2013-beta-mcsd-exams-limited-quantity-be-fast.html >> This post got over 1500 views in less than 24H! 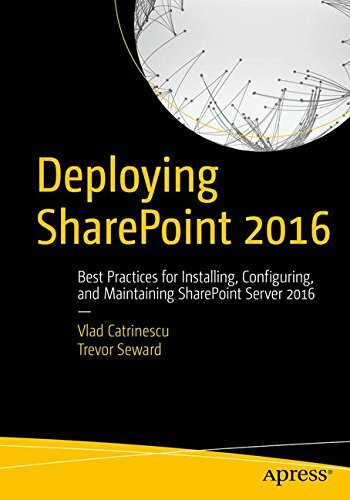 Question about MCSD with SharePoint 2013: are 70-488 and 70-489 released? (There were scheuled to be released June 20, 2013) and if yes, why does Prometric still show 71-488 and 71-489? That’s a very good question. they SHOULD be released.. not sure why they aren’t… I will try to find out! I should remember to thank you… it all started with the info you provided here about SharePoint 2013 MCSD and finally I earned my SharePoint 2013 MCSD before the end of 2013 (on 12/30/2013). Thanks a lot. Glad I was able to help you, and I really appreciate that you came back to say thanks! Come say hi if you are coming at SPC14!